After more than a decade of presenting solo exhibitions, PEER will use the recently expanded gallery space to present two distinct but obliquely related projects – an exhibition of paintings and a film programme. This programme of short films consider – in a very general way – notions of the fleeting and the transient, and how these qualities can intersect with moments of epiphany where the extraordinary and the new are recognised in the everyday. All of the films are rooted in the real but equally focus on the abstract possibilities of representation. They deal with the use of natural elements and simple scientific phenomena as both subject and material for making work – sunlight, water, gravity, velocity, viscosity, reflection, transparency, temperature. Artists enact work to camera in both Anna Barriball’s film, Projection (2003), and in Rachel Lowe’s series of shorts, each titled and individually numbered A Letter to an Unknown Person (all 1998). Sun streams through an open window at which Barriball stands, gazing out. The coruscating rainbow of colours that appear and fade across the adjoining wall are reflections from the rhinestone decorations on her shirt – their dancing movement caused by the artist’s slight shifts in stance and the gentle rhythm of her own breathing. If this could be considered as a kind of harnessing of light, then Lowe’s films are perhaps an attempt at capturing the world. Each of her films are single-takes made in a travelling car while passing through rural and urban landscapes. Lowe draws what she sees at speed onto the window, but of course as soon as it is glimpsed, it is gone. Lowe’s films can perhaps be read as our desire to hold on to and retain the present, a kind of nostalgia for the now, which is heroic yet ultimately futile. Christina Mackie’s film, Irrig (2005), comprises a series of short clips of water spouting vertically from a mechanical jet spray against a clear blue sky. The arid landscape behind is a steep-sided canyon in British Columbia, at the bottom of which is the Fraser River, providing enough force to propel water onto the dry plateaus above. The title of this work is derived from the first half of the word irrigation and as with much of Mackie’s work it is a reflection on human intervention in the environment. Two films by Charles and Ray Eames made in the 1950s provide an historical counterpoint to these works. There is a pervading sense of utopian idealism in the Solar Do-Nothing Machine (1957), where a Jean Tinguely-esque kinetic sculpture is powered by an early prototype solar panel to the backdrop of a specially composed score by Elmer Bernstein (of The Magnificent Seven fame). By contrast, Blacktop: A Story of the Washing of a School Play Yard (1952), adopts JS Bach’s Goldberg Variations as its soundtrack. This is perhaps the Eames’ most abstract of films, and is an extraordinary conflation of the utilitarian with the sublime. Charles and Ray Eames (1907–1978 and 1912–1988 respectively) both lived in the US and are known worldwide for their collaborative work as furniture designers and architects, but also made significant contributions to the fields of industrial and graphic design, art and film. Between 1950 and 1982, they produced over 100 short films. 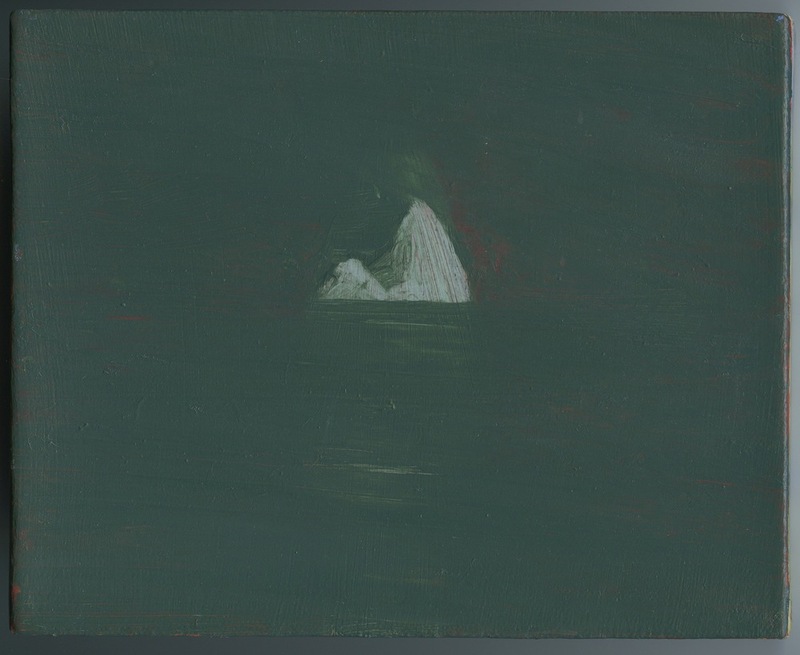 Rachel Lowe lives in London and is currently showing number three from the series of A Letter to an Unknown Person as part of Travelling Light, an exhibition of works from the Government Art Collection selected by Simon Schama (until 26 February 2012). Christina Mackie lives in London and represented by Herald Street Gallery, London. Her exhibition of new work, Painting the Weights, is on show at Chisenhale Gallery, 20 January to 11 March, 2012. Selma Makela lives in County Galway, Ireland. She works with Oonagh Young Gallery, Dublin. She exhibited at PEER in 2008/9 and as a result of this show was invited to undertake a residency at the Banff Centre in 2010 supported by the Fleck Fellowship. The group of works presented at PEER are the result of that residency.